Do you sometimes need a little bit of motivation to get on the board and practice? Yes! Well that happens to everyone and it is one of the reasons we really like the Golf Practice Board. It gives you the chance to play on a different board and this may just give you the push you need to play when you don't fancy the same old practice games. 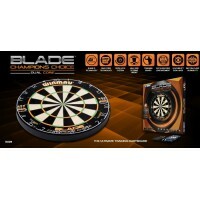 You are also still practising all the vital skills you need to play better darts on the Golf Board. You can improve your accuracy by landing the dart on the fairwway and also "chipping" onto the green but having to avoid the sand and water traps! 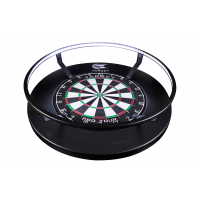 You then need to pop the dart into the hole by landing in the bullseye size target-great practice for bull-hitting! 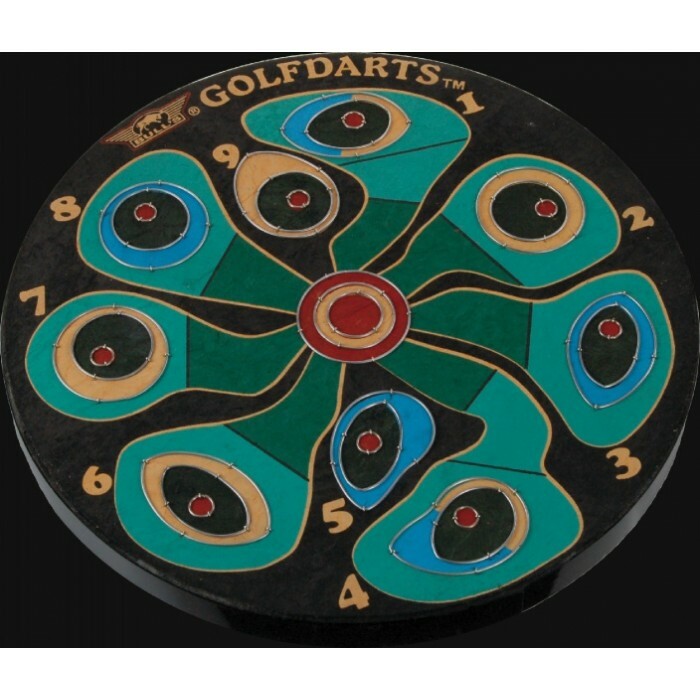 The Golf Board can also help with your muscle memory. The building up of muscle memory is vital to succeed in darts especially when you are under pressure and need a vital double! The "holes" are placed in the exact location of some of the key numbers on the board-Treble 19 and double 16 for example. 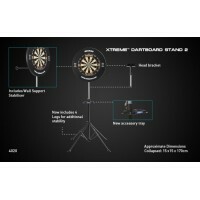 The Golf Board is a fantastic example of making darts training fun with the added benefit of practising vital darts skills that will make you a better player ! 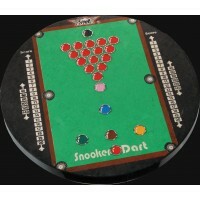 The board is full tournament size and finished to a very high standard. There are full instructions in the box on how to play Golf Darts! Postage - The board weighs around 5g and UK courier delivery is £5.95. Europe - We have quoted £14 for delivery of this item to Europe as a general guide. Please note though this may vary and we reserve the right to advise you that postage may be extra. You will of course have the option to cancel the order or pay the extra. Worldwide - The cost to deliver to USA is £28.00 and Australia and Canada is £34.00 for example. For other countries please get in touch for a quote. For Australia and Canada please order and we will send you a PayPal request for the balance of the postage. We do not make a profit on the postage, we shop around for the best price and pass that on to the customer.